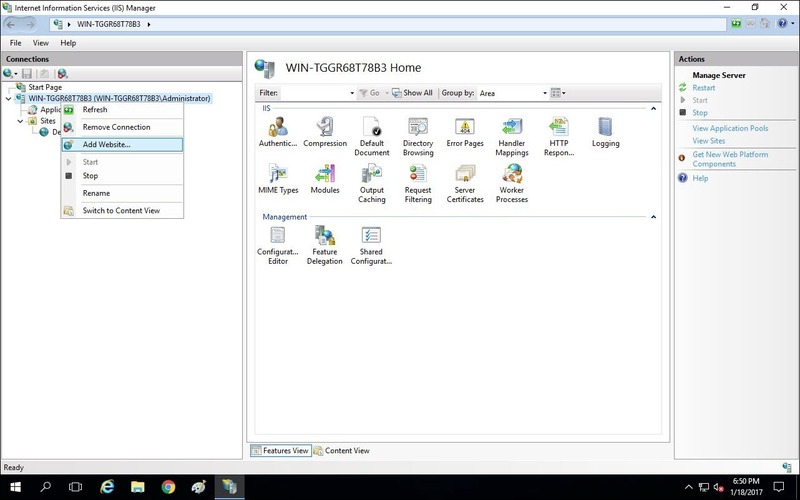 Included are instructions to setup AuctionWorx Enterprise on a single web server as a standalone instance. This step by step guide is designed to cover each of the important steps required to get a web server to run the AuctionWorx software. Ideally AuctionWorx is run in an environment where a separate database server can be used to serve one or multiple web servers with ample resources fitting the expected traffic to the site. 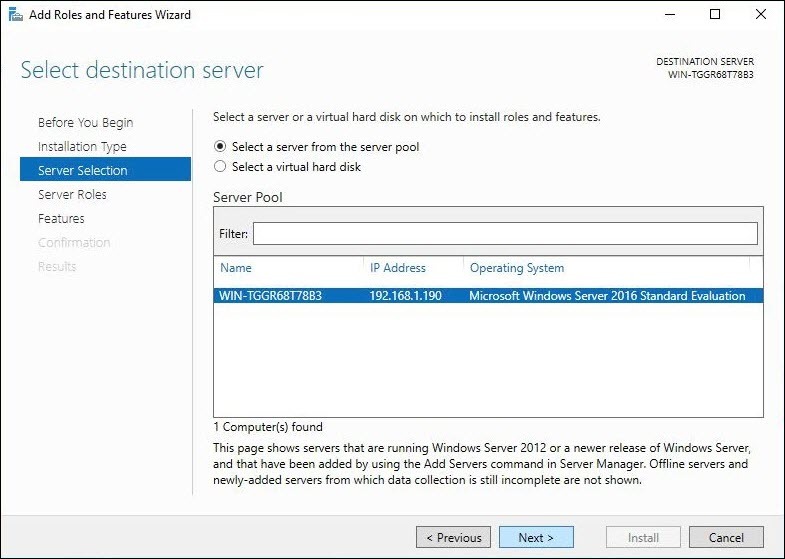 For this guide, the starting point will be a new instance of Windows Server 2016 running on a server with a Quad Core processor and 6 GB of ram. This is not the absolute minimum amount of machine required but, it would not be advisable to go much lower. 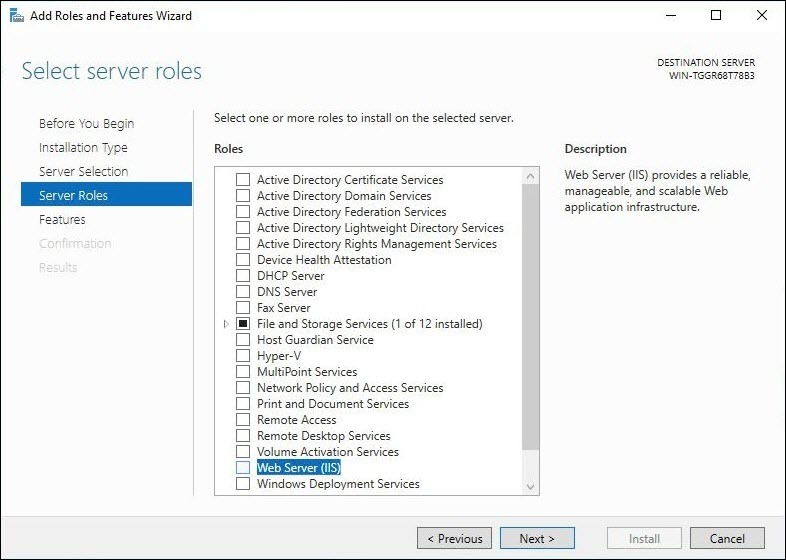 You can use previous versions of Windows Server to accomplish the same goal, as long as the versions being used are not older than what is described on the System Requirements page. 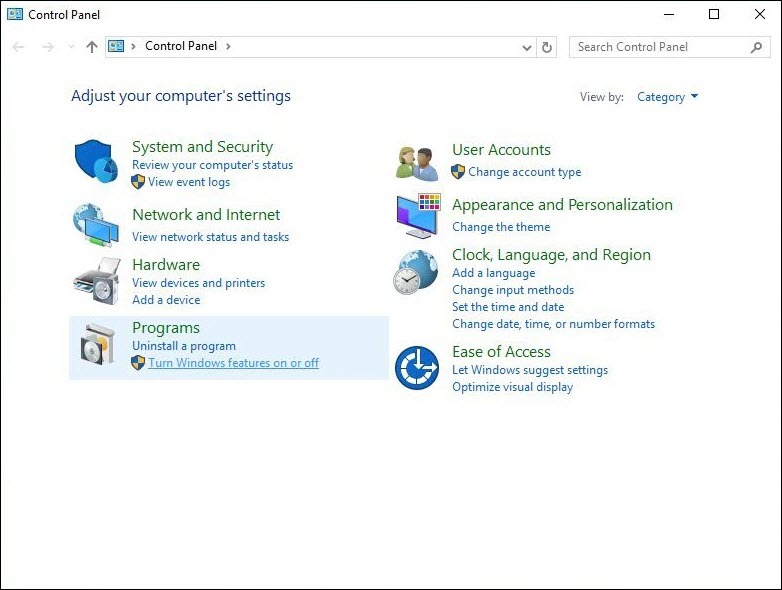 To setup IIS or Internet Information Services, open the Control Panel and click the "Turn Windows features on or off" option underneath Programs. 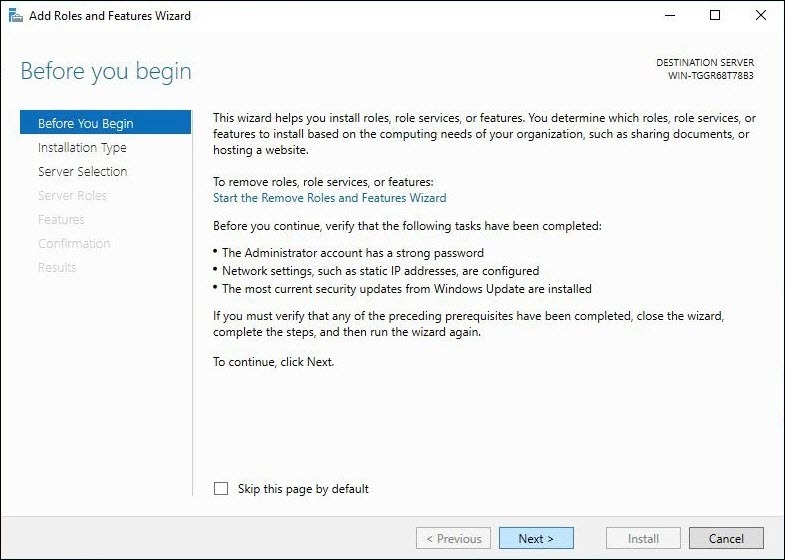 This will open the Server Manager and the Add Roles and Features Wizard. Click Next. 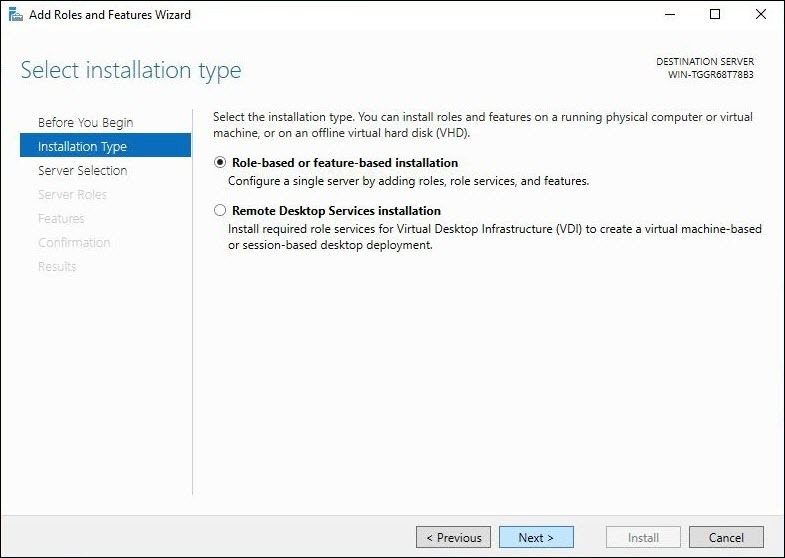 Select the Role-based or feature-based installation option and click Next. Select your server from the server pool (it should be the only one) and click Next. 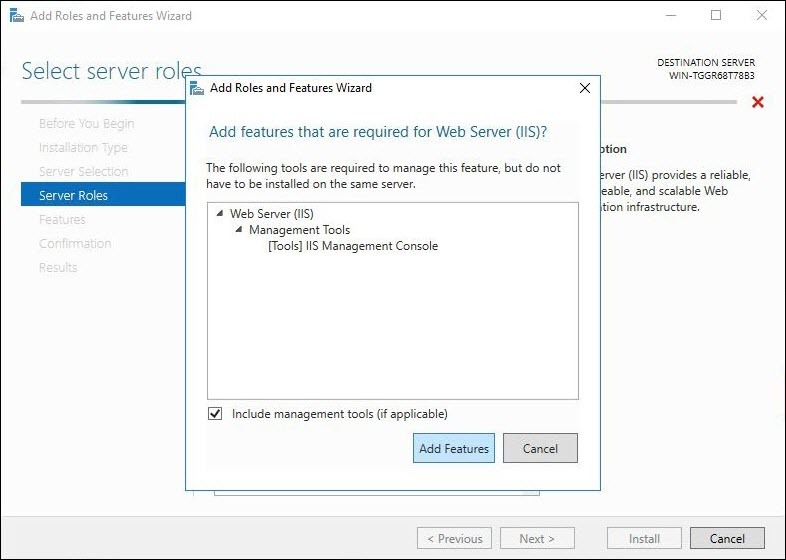 Include the Web Server (IIS) option. You will be prompted to include the Management Tools and in this case you do want to install these on the server. Click the Add Features button then click the Next button. 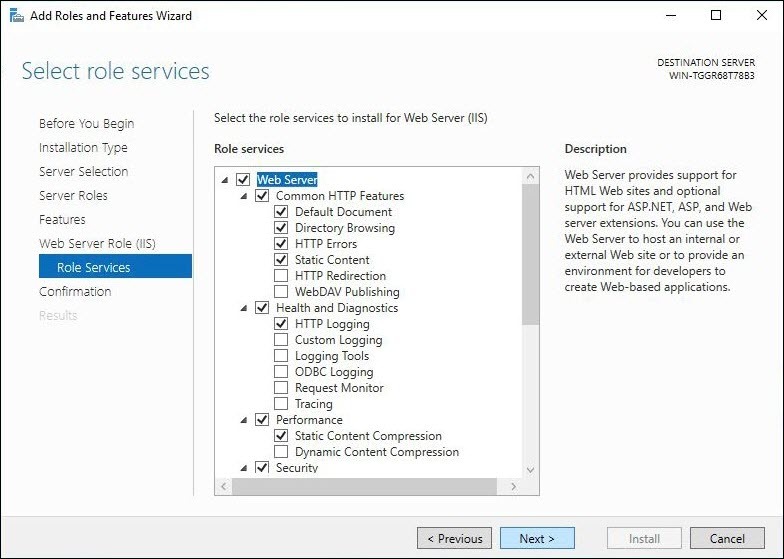 Scroll down the list and add ASP.NET 4.6 and WebSockets Protocol by opening Web Server (IIS) > Web Server > Application Development, then checking both of those features. 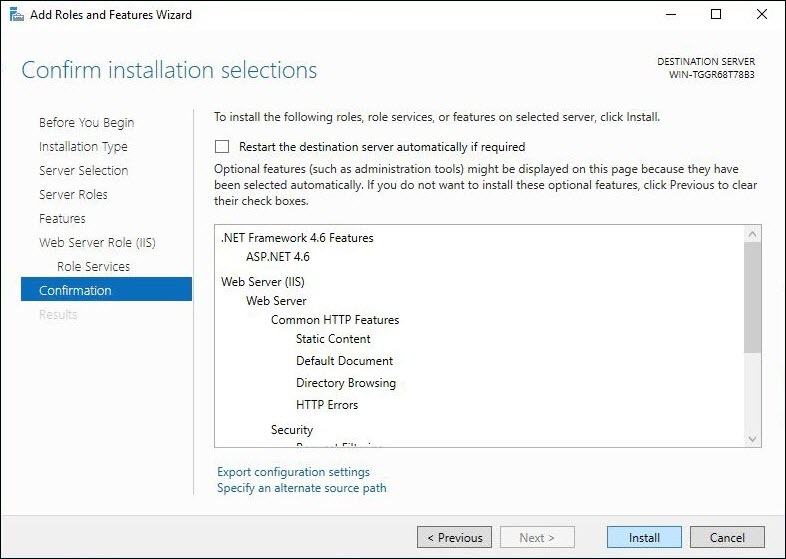 On the Features section of the wizard add the "ASP.NET 4.6" feature. 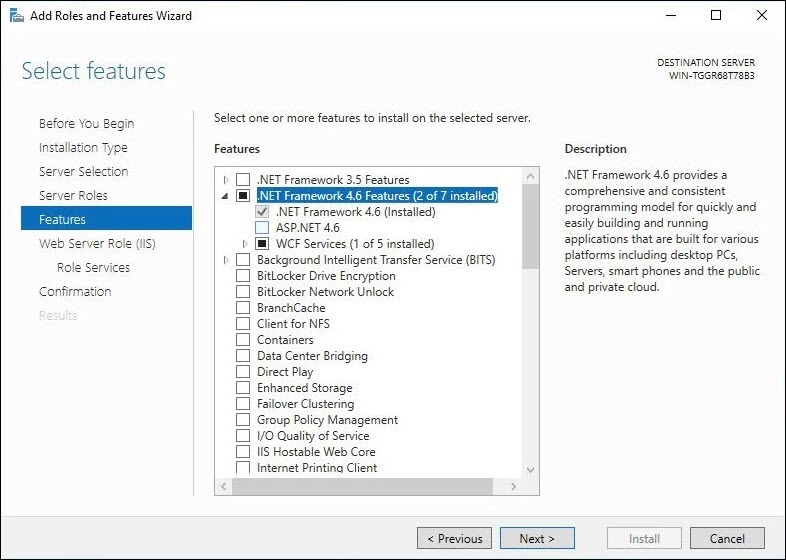 Expand the .NET Framework 4.6 Features and you will find it just below .NET Framework 4.6. On the Role Services page, all of the options needed should already be selected. Click Next. 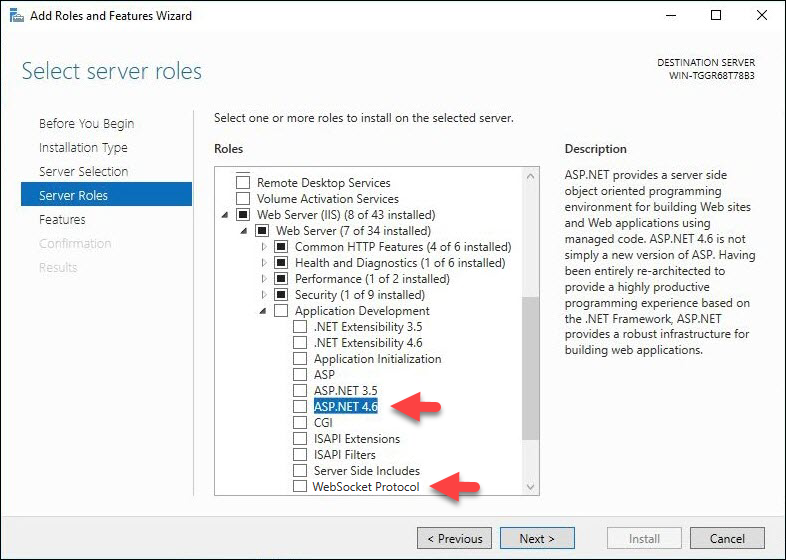 On the Confirmation page, check that the ASP.NET 4.6 feature and the Web Server (IIS) is included in the list and click Install. Wait for the installation process to finish and restart the server afterwards. 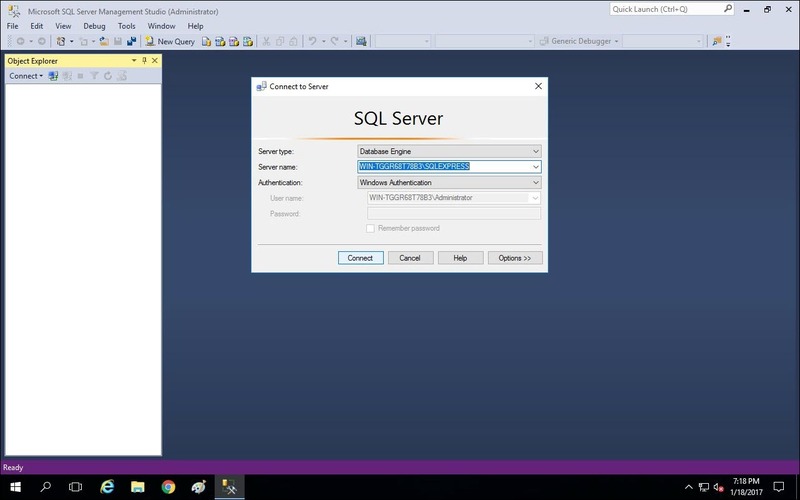 Click the link that says "Try SQL Server 2016 Express for free" to download the setup file and click Run. 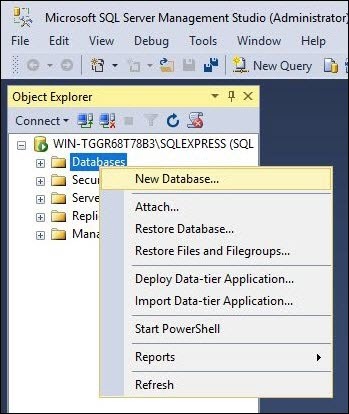 Choose and install SQL Server 2016 SP1 Express with Advanced Services option. Full-Text Search and SQL Server Service Broker are requirements for running AuctionWorx. 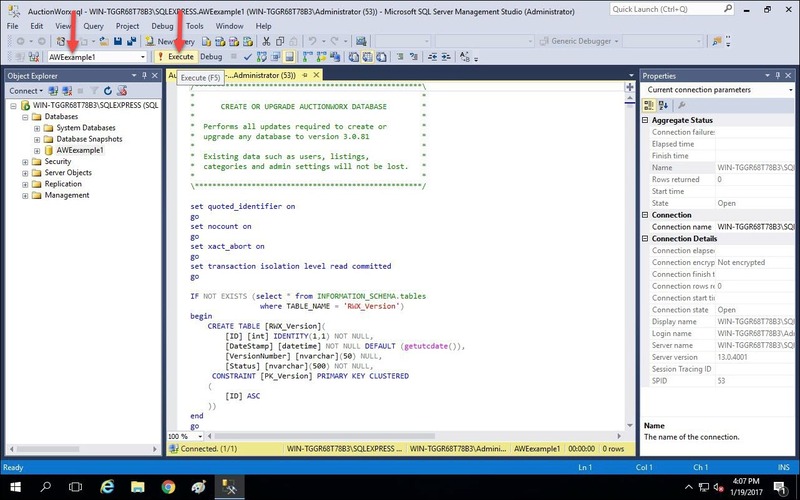 Download and install SSMS (SQL Server Management Studio) with the default settings. When the installation is complete restart the server. If there are any updates needed after you reboot the system, install the updates and reboot the server again. 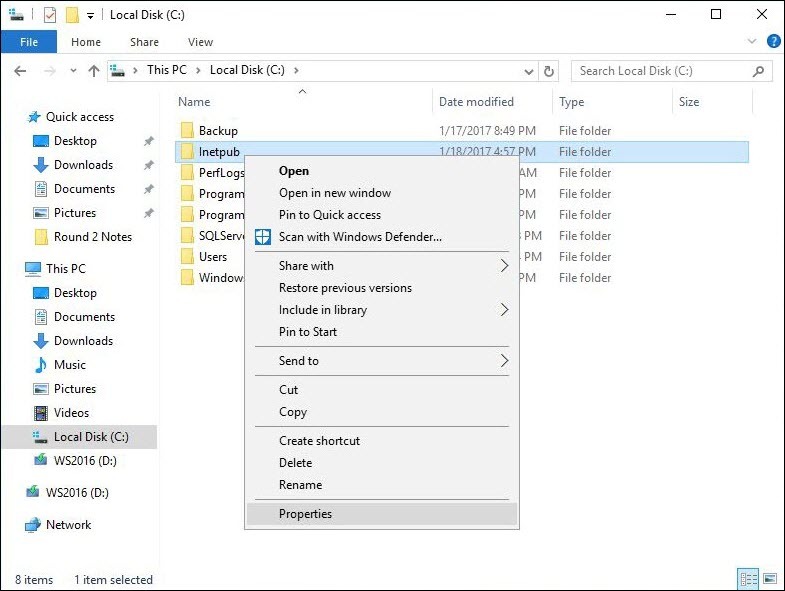 Note: You can name the folder whatever you want as long as the settings through out the setup. In this newly created folder, copy in the contents of the Web folder from the AuctionWorx package. While viewing the Inetpub folder in windows explorer, right click the Inetpub folder and select Properties. Select the Security tab from the Inetpub Properties window. From the Permissions window, click the Add button to add a new user to the list. Type in "IIS_IUSRS". Note: It is OK to skip past any errors that appear during this process. 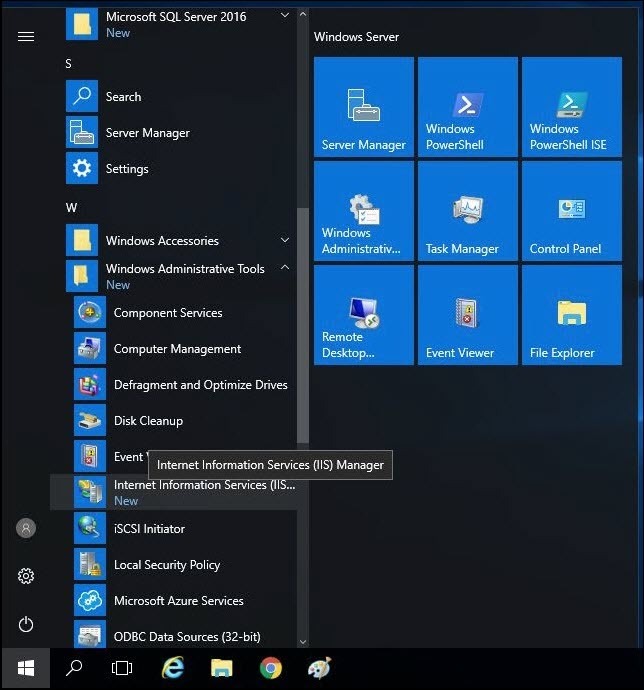 To open IIS, click Start > Windows Administrative Tools > Internet Information Services Manager. Right click the Server in the navigation on the left and select Add Website. Give the site a name "AWEexample1", select the Physical path as "C:\Inetpub\AWE" and click OK.
You should get a message saying something to the effect of "The binding '*:80:' is assigned to another site...". Click yes. In the navigation under Sites, it should display both Default Web Site and AWEexample1. Right click the Default Web Site and click Remove. Note: Disabling the Default Web Site is also sufficient. 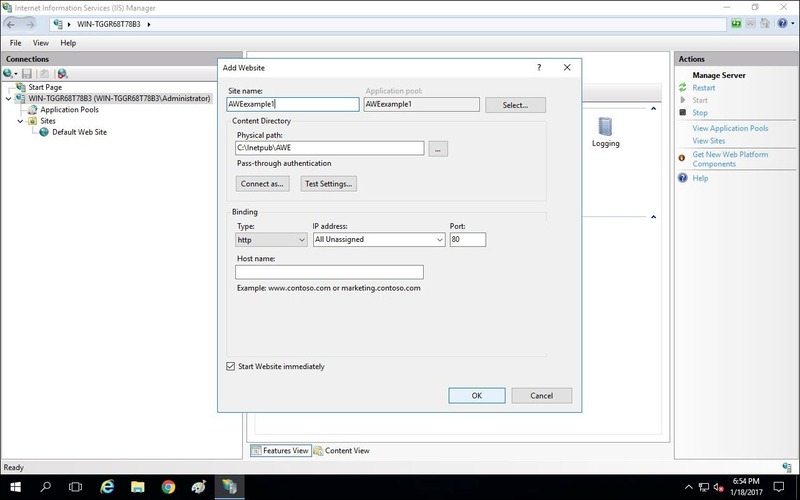 Right click AWEexample1 and select Manage Website > Start. 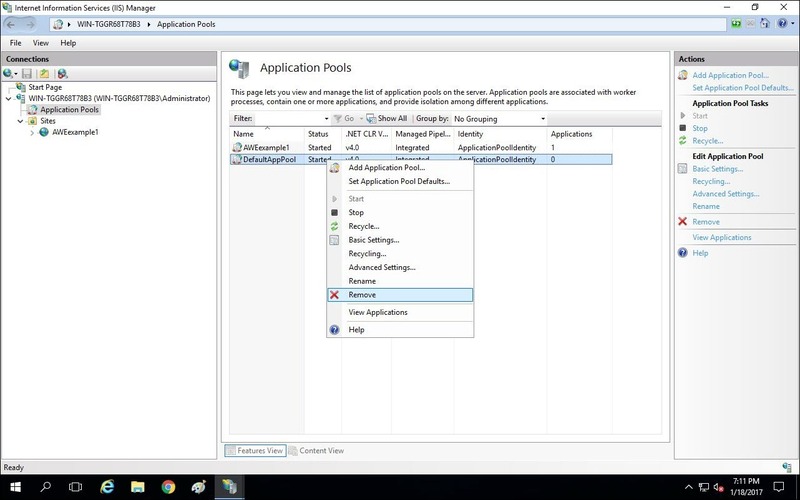 In the navigation under the server, Select Application Pools. A list of Application Pools should be displayed on the right. Right click the DefaultAppPool and select Remove. Note: This is optional or you can also just disable the Default App Pool. 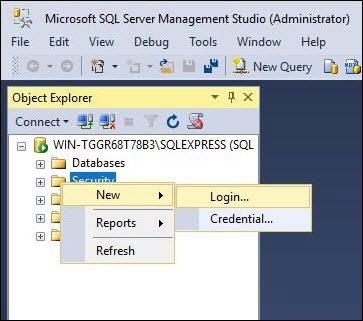 Before creating the database, the SQL Server needs a change made to server authentication. 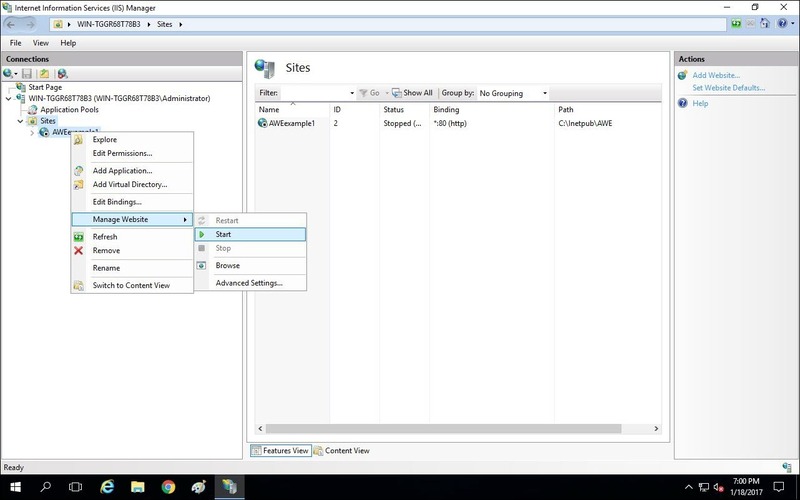 Right click the server in the navigation on the right and select Properties. 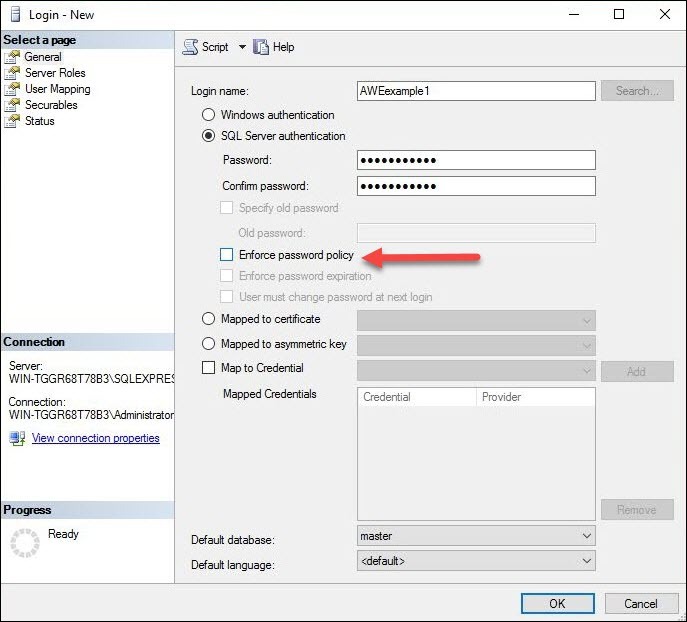 On the Security page, select "SQL Server and Windows Authentication mode" and click OK. Right click Databases and select New Database. Name the database "AWEexample1" and click OK. Note: You can name the database whatever you like, as long as you are consistent throughout the process. Right click Security and select New > Login. 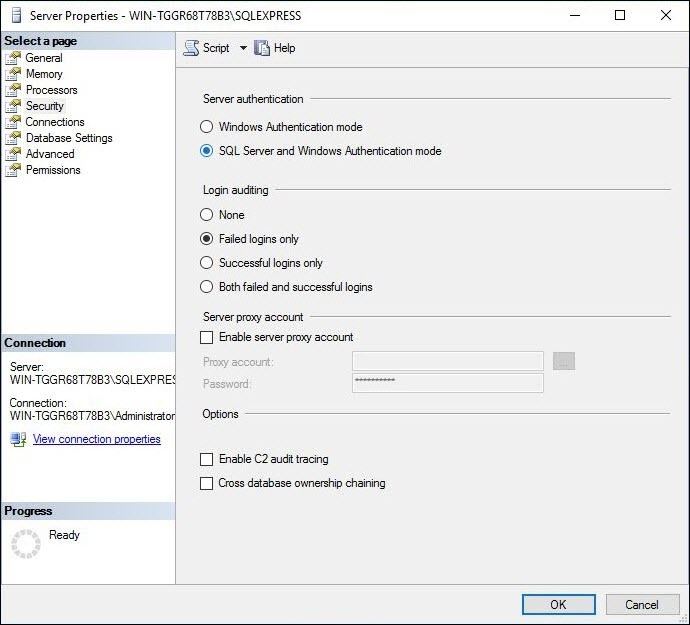 Type in "AWEexample1" as the Login name, select SQL Server authentication, enter "AWEexample1" as the password, uncheck Enforce password policy. Note: The password is "AWEexample1" in this example but, you should be using a secure password for the database connection. On the top left side of the new login dialogue, select User Mapping. On this page add "db_owner" to the database role membership for "AWEexample1" , then click OK. Expand the Databases folder, select the AWEexample1 database and click File > Open > File. 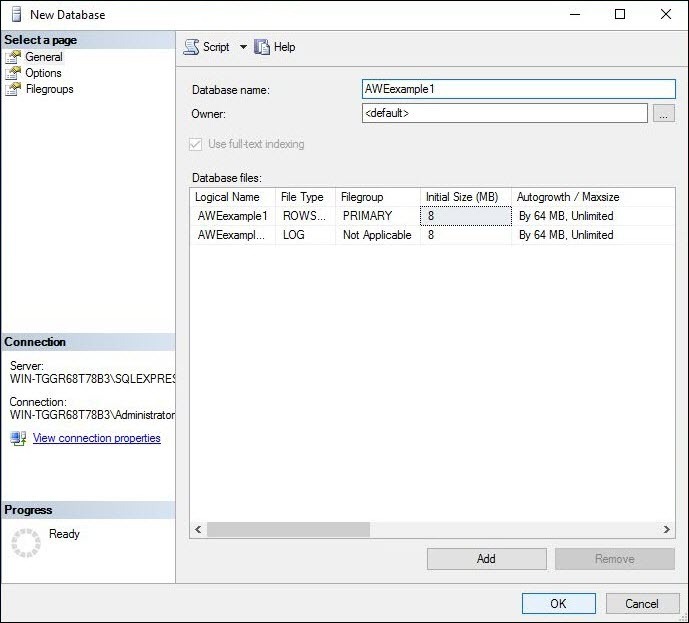 Open the AuctionWorx.sql file from the SQL folder in the AuctionWorx package you received from RainWorx. 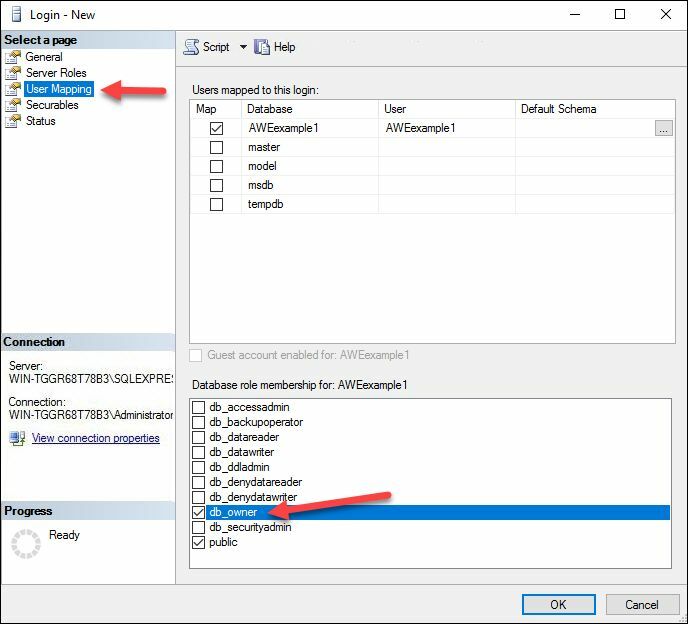 Be sure that the AWEexample1 database is selected in the toolbar at the top before clicking on the Execute button. 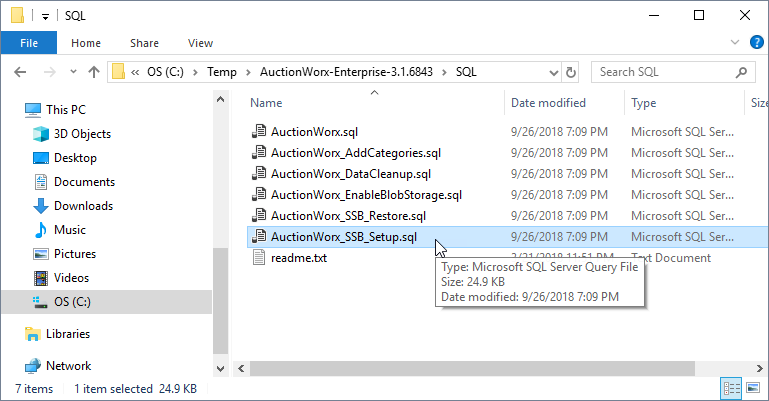 Finally, Run the AuctionWorx_SSB_Setup.sql file against the database. 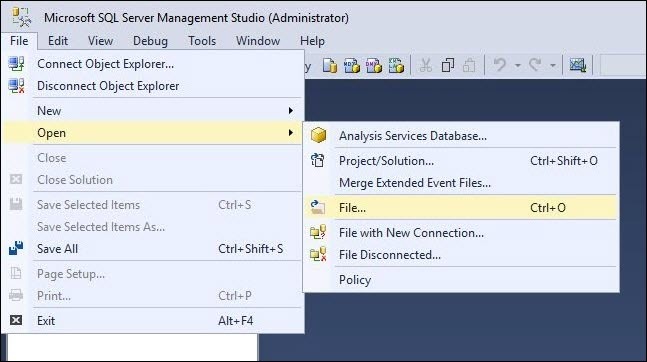 Open the file from SSMS and click Execute. Note: Optionally, the default categories script can be run to add general purpose categories to the site. It will take a while to execute as it optimizes category hierarchies for the 25,000+ categories it contains. Open the Web.config file in the AWE folder (C:/Inetpub/AWE/Web.config) by right clicking and open with > Notepad. In the Web.config file, find the connection string by scrolling down about a page or so, or use Find by pressing Ctrl + F and then type "Connectionstring". 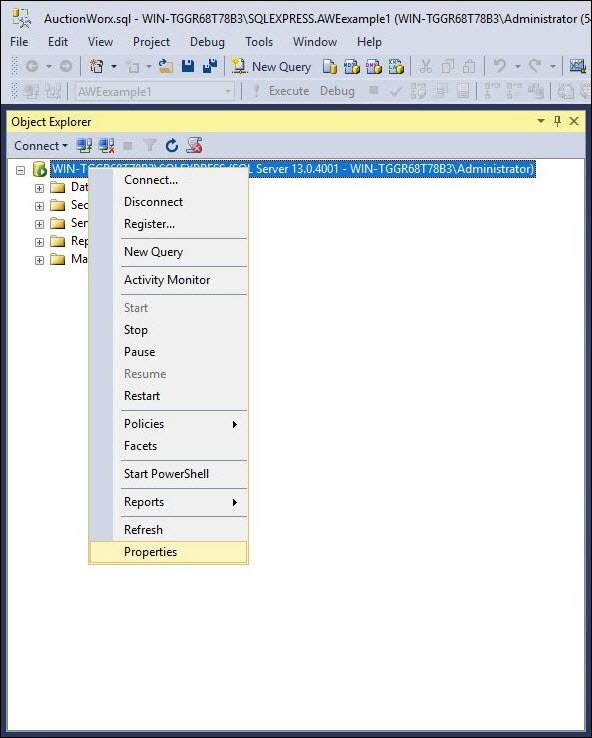 In the connection string, for the Data Source value, replace "your server name" with the value found in the connection dialogue when you open SQL Server Management Studio. It should essentially be "Name-of-Server\SQLEXPRESS". For this example it is "WINTGGR68T78B3\SQLEXPRESS". Change the Initial Catalog to "AWEexample1" instead of "your db name". Change the user to "AWEexample1" instead of "your user name". Change the password to "AWEexample1" instead of "your password". Note: "AWEexample1" is meant to be representative of a meaningful username, database name and a secure password. At this point, you should be able to type in "http://localhost/" from a browser on your server and the AuctionWorx site should load. If you have a different outgoing relay service that can provide you with SMTP settings you can skip this step. 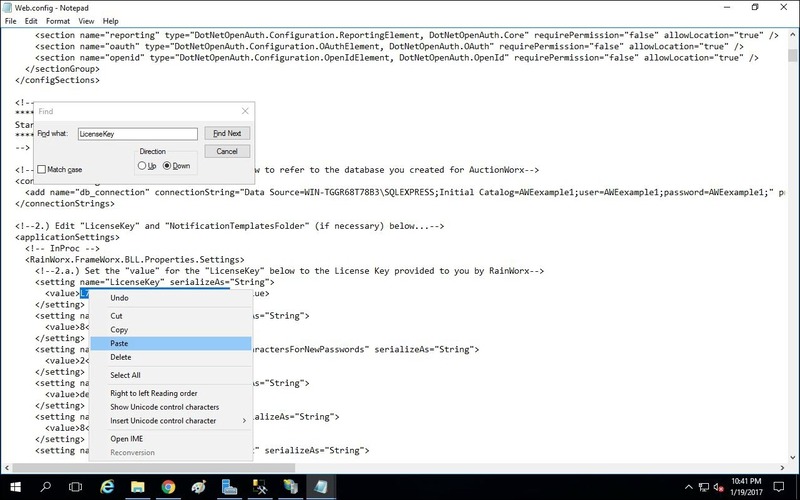 Click Settings > API Keys then click the Create API Key. Choose a General Key. 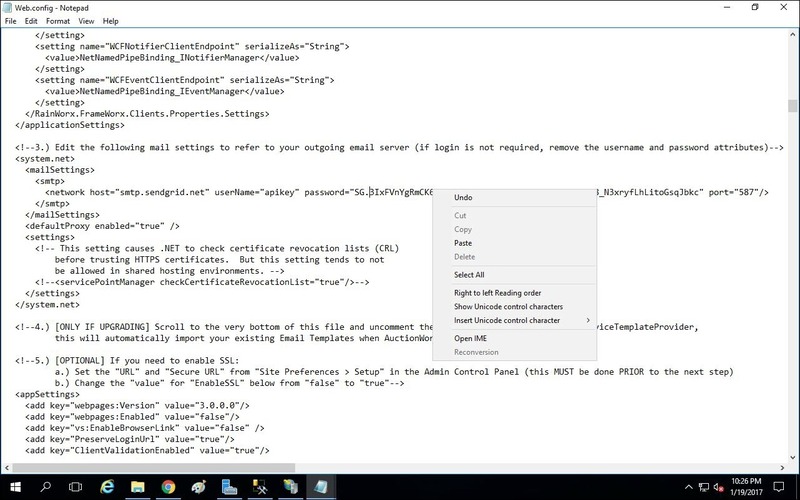 The API Key is used as the Password for the SMTP settings. Host, Username and Port should be the same for anyone using SendGrid.com. Open the Web.config in notepad. Enter in the information as stated above and save the file. Replace "your license key" with the license key you received from RainWorx Software with your purchase. 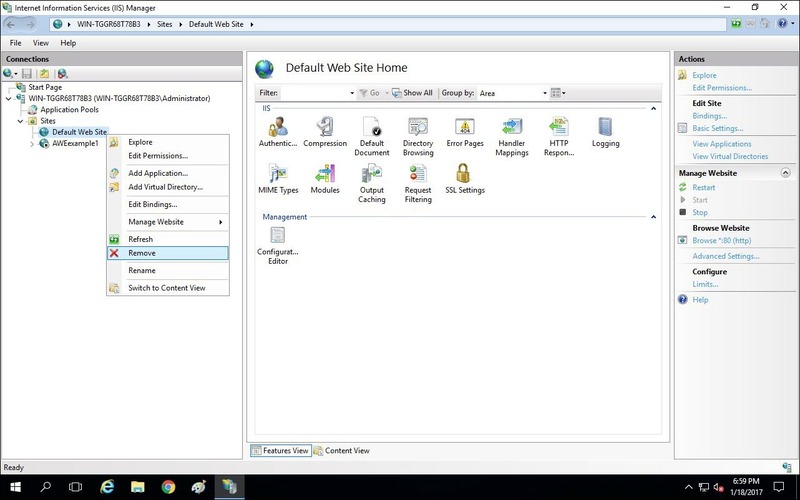 Enter in "http://localhost/" from a browser on your server and the AuctionWorx site should load. Navigate to Site Preferences > Contact and change the "Administrator Email" and "System Email Address" to an email address you have access to. Click Save. Navigate to Site Preferences > Setup and change "URL" and "Secure URL" to "http://localhost". Be sure leave out the slash at the end of the URL. Click Save. Sign out and create a new user with the "Register Now" link found on the Sign In page. Fill in the form with Test User type information and make sure that the email address is one that you have access to. You will want to receive any messages from the system to confirm that the SMPT outgoing relay is working correctly. Once you click "Complete Registration", if you see a verification email in your inbox, that means that your SMTP settings are correctly configured. Signed in as the admin still click Sell. Go back to the verification email in your inbox. Click the link provided to finish the verification process and sign in as the new user. Once signed in, locate the listing that the admin user just created. It should be displayed in the category that you listed it under. Open the listing details page. Enter in "http://localhost/admin/checksite" from a browser on your server and the Check Site page should load with a series of tests. These tests should all say "PASS". There are a few other things that should be mentioned that are not required to get the application running but are worth mentioning. Edit the robots.txt file located in your Web Root, un-comment the last line, and replace [YourDomainName] with the correct value. Login to the site as an administrator and access the "Admin Control Panel." 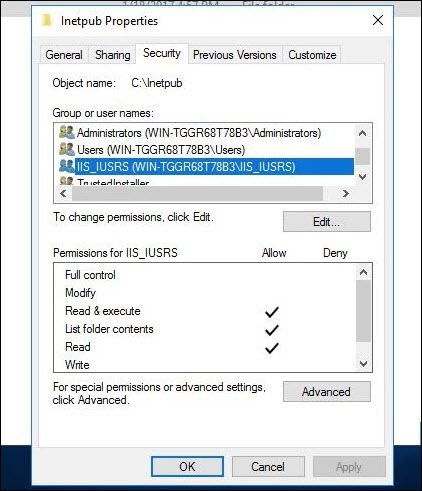 Under "Site Preferences / Setup," set the "URL" and "Secure URL" properties appropriately. Set the "EnableSSL" setting in the web.config file to "true". Once you do this, the above URL settings will be enforced. Note: Only set “EnableSSL” to “true” after you have set the “URL” and “Secure URL” properties from step 2 properly or you may not be able to access the site. Copyright © 2002-2018. RainWorx Software. All rights reserved.